Trading on the 29th December 2019 is free for all traders. Normal Market Regulations apply.  Having a stall at the famous Lymington Charter Market is a great opportunity for a local business or small cottage industry. Bespoke items, gifts, unique hand-made crafts and new food products are always welcome. All traders at the Market, whether casual or permanent, must adhere to the Lymington Charter Market Regulations. The Market Supervisors have hard copy available on the day of the market, should you wish to view them. Casual stallholders pay weekly by cash directly to the Market Supervisor. To become a permanent trader, you are required to trade on the Market as a casual for 6 weeks. All payments are required by monthly standing order. Permanent stall holders pay for 46 weeks only. £2.25 x 10ft = £22.50 x 46 weeks ÷ 12 months = £86.25. £86.25 to be paid each month by standing order on the 1st of the month to Lymington & Pennington Town Council.